Up until a few years ago, geared continuous hinges were very expensive and therefore out of reach for smaller businesses. They have been in use for many years in high traffic facilities such as hospitals, airports, schools, etc., but have been too costly for the smaller businesses, no matter how beneficial they could be. However, that changed in recent years, and with dropping in prices, any business big or small can afford geared continuous hinges and the benefits therein. Now, you can stop the never-ending door sagging, hinge, and pivot problems that occur at every door over time. 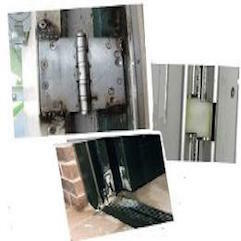 Installing geared continuous hinges requires the proper tools, training, knowledge, and insurance; at A To Z Locksmith, we have all of those covered. 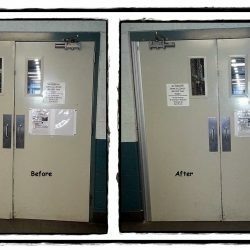 Our technicians are well trained, use the best tools, and above all, have proper insurance, since those installations involve taking down the door. At A To Z Locksmith, we believe in using the best tools and hardware, and when it comes to geared continuous hinges, we use only SELECT geared continuous hinges. 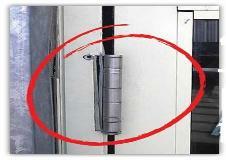 SELECT Continuous Hinges provide the longest-lasting solution for high-traffic doors. As a result, they save materials and energy. They have been proven to withstand 25 million cycles – equal to more than 60 years of use on the average high-traffic door. Don’t wait until your door falls off its pivot, stops latching, or won’t open to make a change; end all those issues with continuous hinge or pivot replacements. Call us today! 2019 A to Z Locksmith All Rights Reserved.